While the finale for the eighth and final season of 'Game of Thrones' has already been written, shot, and is ready for release once the season begins streaming on the 14th April, the creator of the universe, George R.R. Martin is still going round in circles when it comes to the ending he wants to give to his characters in his books. Many fans of the literary saga are worried that by watching the on-screen series, they will be robbed of the ending to their favourite books, seeing as the HBO series began as an adaptation of Martin's novels. However, once the television series caught up with the literary saga's chronology in the sixth season of the show, Martin simply has given the screenplay writers guidelines for the show's plot line, and without concrete books on which to base the stories, the two versions of the 'Game of Thrones' world have veered onto slightly different paths. The author, who continues in the process of writing his sixth and penultimate book in the series, recently admitted in an interview with Rolling Stone that he plans to include several differences in the literary world in order to maintain the reader's suspense. "I've been so slow with these books. The major points of the ending will be things I told them five or six years ago," Martin explained. "But there may also be changes, and there'll be a lot added." He last released a book in 2011, before the first season began streaming. 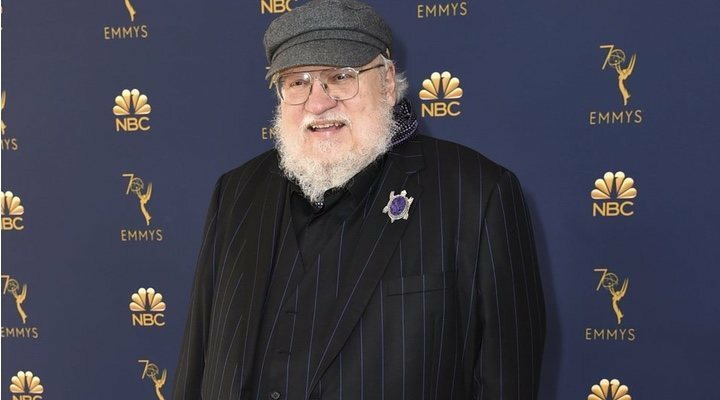 The author has already confessed in an interview with the Guardian that he feels a great deal of pressure when writing, due to the success of the television adaptation of his novels. However, it seems that he now has it more or less on track and the even revealed a few details about 'The Winds of Winter', the highly anticipated upcoming novel. George R.R. Martin has played a large role in the development of the show's script over the past eight years of 'Game of Thrones'. However, this is not the only role that showrunners D.B. Weiss and David Benioff have offered the author: they suggested that the creator of the universe make a cameo in the show's finale, but Martin turned down the offer. Despite admitting that he was tempted, the author decided that it was a waste of time to fly from his home in New Mexico all the way to the Belfast studios only to make a brief appearance. We can only hope that during the past eight years without sign of life from the literary saga, that the author has recovered his creative spark enough to finally release the sixth novel so that fans can continue to enjoy their favourite characters' stories even after the end of the television series this spring.